Renting to active duty servicemembers is often a great decision! Members of the uniformed services tend to be very reliable, hardworking individuals. They have a steady paycheck and are accountable for their actions, meaning that disputes are often easily mediated and solved. However, before you rent to servicemembers, it is important that you learn about the special renting rights that they are entitled to under the Servicemembers Civil Relief Act. The SCRA is an important law that protects the civil interests of members of the U.S. uniformed services while they are on active duty. Failure to comply with this law is often met with large fines or even criminal penalties, so it essential that you observe its statutes to a T. As a landlord, the parts of the law that pertain most to you are the protections that servicemembers have from eviction and the special right that they have to cancel leases in certain situations. 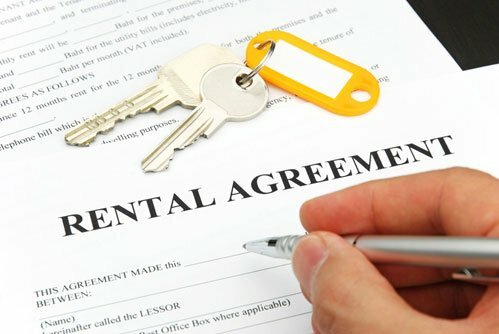 If you are renting to an active duty servicemember or his or her dependent and the rent does not exceed a certain amount, you are forbidden from carrying out an eviction without a court order. The Servicemembers Civil Relief Act set the rent cap for eviction at $2,400 in 2003 – indexed for the cost of living, that cap was $3,217.81 in 2014. Subjecting that property to distress – i.e. changing the locks, etc. – is equally forbidden. This does not mean that you cannot evict the tenant or subject the property to distress if need be, but first there are a number of steps that must be taken. As such, it is generally advisable to attempt to work out an equitable solution with the servicemember and/or his or her commanding officer before attempting an eviction. The first step is to obtain a military status affidavit and bring it to court. The Servicemembers Civil Relief Act Centralized Verification Service can help with this step. Once the court receives your application for eviction or distress, it will attempt to contact the servicemember in question. If that servicemember asks for a 90 day stay of proceedings, or if the court determines on its own motion that such a stay is appropriate, you will have to wait 90 days. The court may also extend the stay further if it decides that the servicemember’s duty requires it or adjust his or her obligations under the lease. In some situations, the court may choose to grant you monetary relief. After this period, if no other solution has been found, the court will grant you the right to evict your delinquent tenant. Servicemembers also have the right to cancel their lease in certain situations. Again, this applies both to servicemembers with active duty status and to their dependents. There are two main situations in which this applies. Keep in mind that these lease cancelation rights apply not only to residential leases, but also to professional, business, agricultural and other leases – even motor vehicles are covered. First, lessees may terminate their lease upon entry into military service. This means that a non-military tenant who joins the uniformed services may then terminate his or her lease. This is to allow servicemembers who join to terminate their lease before shipping off to basic training and subsequently their first posting. Second, a servicemember who executes a lease while in military service who then receives orders for a permanent change of station or to deploy with a military unit may also terminate a lease. This only applies if the change of station is for a period of no less than 90 days. The end of an active duty servicemember’s service also qualifies in this case. In order to terminate a lease in this way, the servicemember is required to give written notice of the termination and a copy of his or her military orders. After delivering this notice, the lease is considered terminated 30 days after the next rental payment if rent is paid monthly or one month after the last day of the month in which the notice is delivered. No early termination charges can be assessed and rent paid in advance must be prorated and returned. Any rent still owed by the tenant must be paid. Failure to comply with the Servicemembers Civil Relief Act in this case is a misdemeanor punishable by fine or up to one year in prison. Compliance with the SCRA can be a headache to landlords, who may not be as prepared for it as a large company might be. Regardless, it is essential that this important law be observed, as litigators have not been afraid to use its criminal penalties against landlords in the past. The Servicemembers Civil Relief Act Centralized Verification Service can help to make this compliance simple and affordable.